The Episode starts with Veer getting angry. Neeraj runs away. Veer runs after him to catch him. Neeraj gets on some truck. Veer jumps in the truck. He says you dared to touch the idol, you did a mistake, I will break your hands. Neeraj says I didn’t do anything. Veer breaks his hands and beats him. They both fall down the truck. Thakur and his son come there and see Veer and Neeraj. They think where is the idol. Kunika tells Rajmata that everyone’s Kaal will come. She is taken away. Akshay asks Archie not to take tension. Archie worries for Veer. A man comes to the stall and asks for tea. The vendor makes tea. The man sees Veer lying down and asks the vendor. The vendor says maybe he is some drunkard. The man goes to check. He sees Veer. He steals Veer’s gold jewellery and wallet. He goes. Rajmata is with Archie. Akshay comes and informs them about Veer’s phone, found near the jungle. Archie says why would Veer leave his phone if he had to go to jungle. Akshay says we will go and try to find him. Veer gets up and thinks what’s this place, how did I come here. He asks the vendor about the place. The man says you don’t care for it, the place is Jawarpur. Veer thinks its 150 kms away from Kanakgadh, what happened yesterday night. He checks for his wallet. He doesn’t see anything. He asks can you arrange a car. The vendor says money is needed in advance. Veer says I m the King of Kanakgadh, don’t worry, I will give money on reaching there. The vendor laughs and thinks its some joke. Veer asks him to give a phone for making a call. He asks a man for using internet on his phone. The vendor asks how will you get number from internet. The maid greets Rajmata and Archie. She tells about Veer’s call. Archie asks where are you. He tells Archie about his location. She asks how did you reach there. He says I have to arrange a car, send money here, I lost everything. He asks the men to give their account number so that he can pay for car rent. The vendor asks for 3000rs. Veer asks Archie to send 10000rs to the man’s account. The man gives his account number. Veer helps the tea vendor and asks him to arrange the car for him. The man gives phone to Veer. Akshay says Archie told me that you are in Jawarpur, I spoke to Sarpanch, he is getting car for me. He asks him to find Neeraj. The vendor asks are you the King of Kanakgadh. Veer says yes. Sarpanch comes to pick Veer. Thakur looks at Veer. He introduces himself as Vishwamber Pratap Singh. He welcomes Veer to his village. Veer says I have to reach Kanakgadh. Thakur says this car is for you, I will drop you to Kanakgadh. Veer agrees and takes his help. The vendor says he was really the king. Thakur sees his son and signs him. His son thinks its a golden chance to kill Veer. 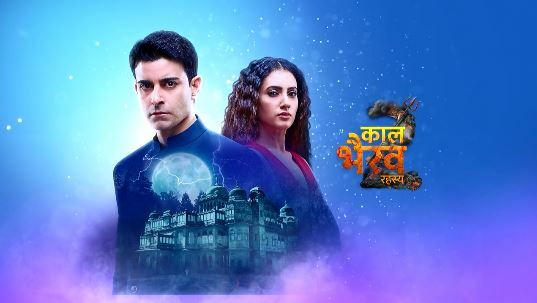 The post Kaal Bhairav Rahasya 2 27th February 2019 Written Episode Update: Veer meets the village Sarpanch appeared first on Telly Updates.